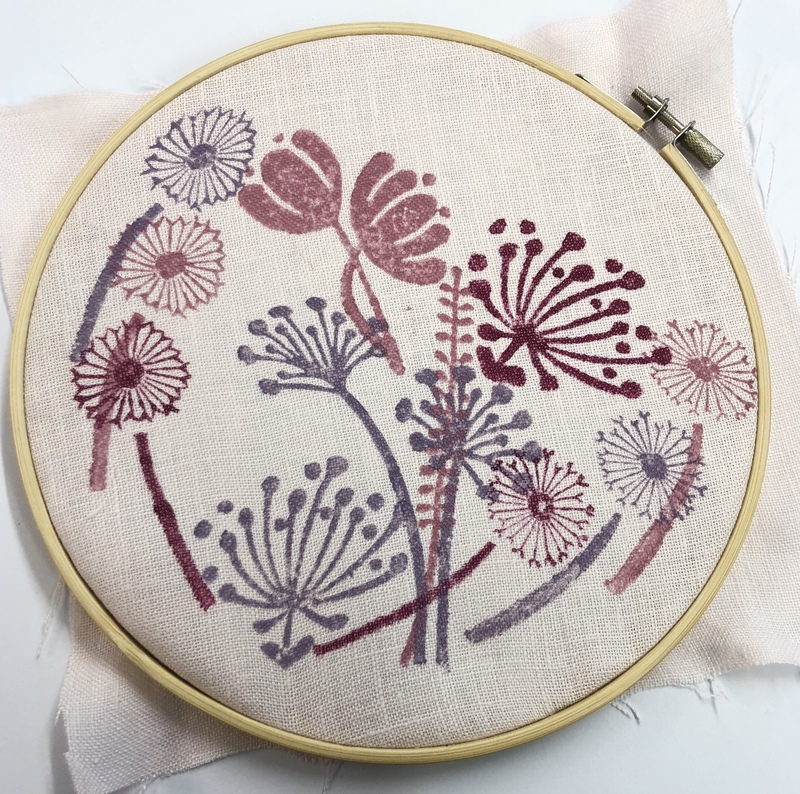 Thursday 23rd May- Fabric Printing for Embroidery. 10:30am – 3:30pm at our home studio in Middle Aston, Bicester, OX255QL. 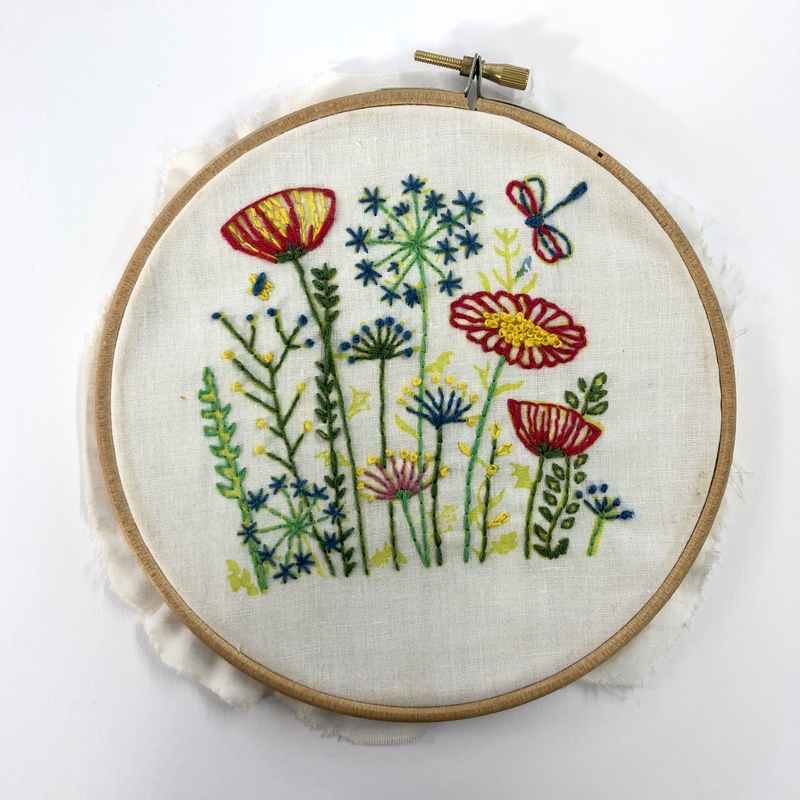 This workshop will be specifically run for those wishing to learn how to use Indian Printing Blocks to create their own embroidery /stitching designs. We will provide you with several fabric items to print such as a long handled cotton tote bag and 2 cotton napkins and a selection of plain and coloured fabric for you to print on and take home to embroider. 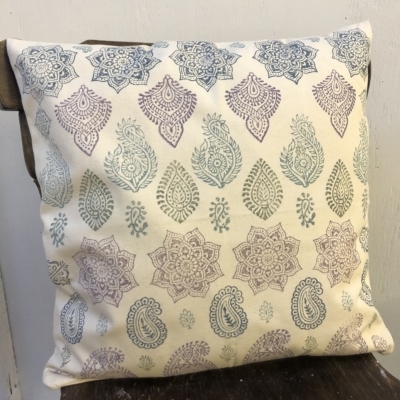 You will leave with a stash of beautiful hand printed fabrics which you can turn into stunning creations! 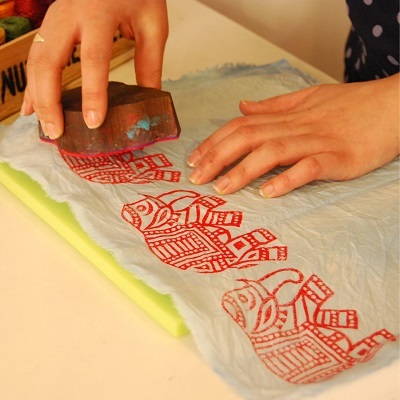 The workshop will start with a full and detailed demonstration on how to block print, making the workshop suitable for those who have and haven’t printed before. 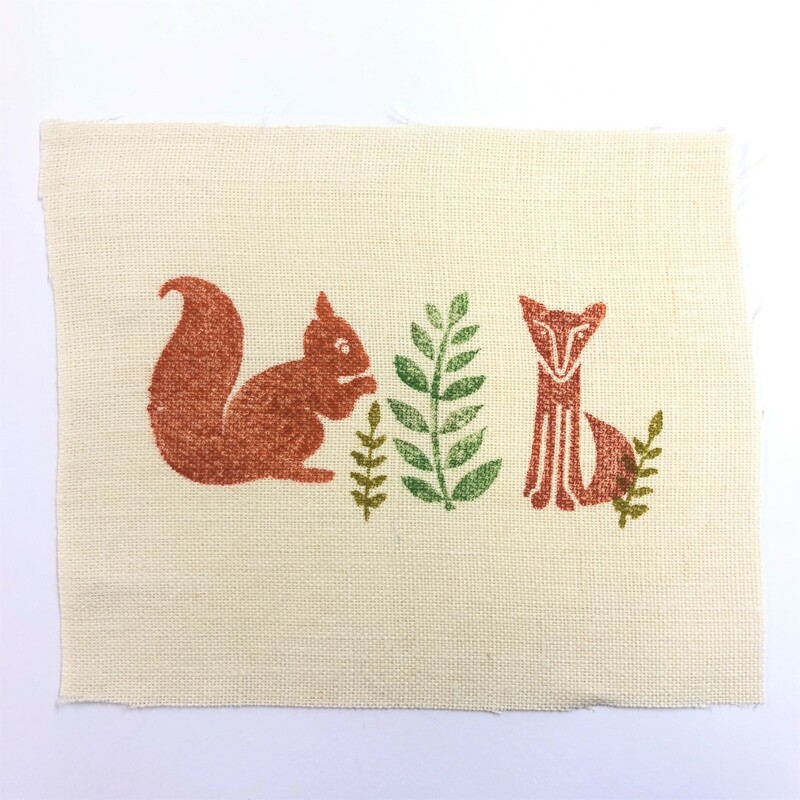 We will run through a range of different printing techniques which you will be able to use throughout your day with us. You will then rummage through hundreds of printing blocks picking out and testing as many designs & colours as you wish. 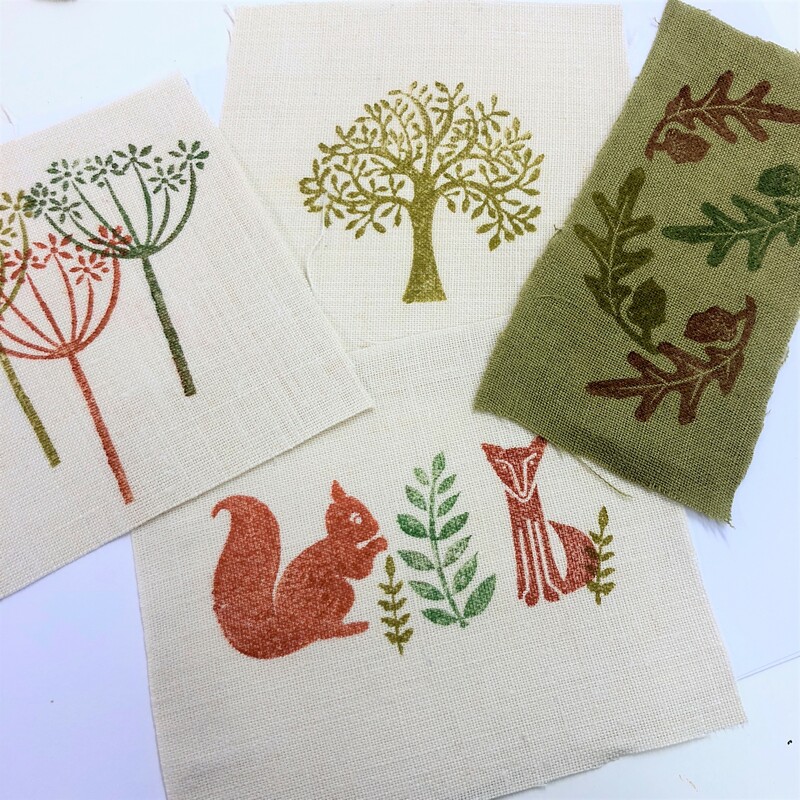 Once confident with printing you will have freerein of our studio and designs, this workshop with no set structure allowing you the freedom to play and create however you wish, we will be on hand to help in anyway and will provide you with lots of ideas & inspiration. 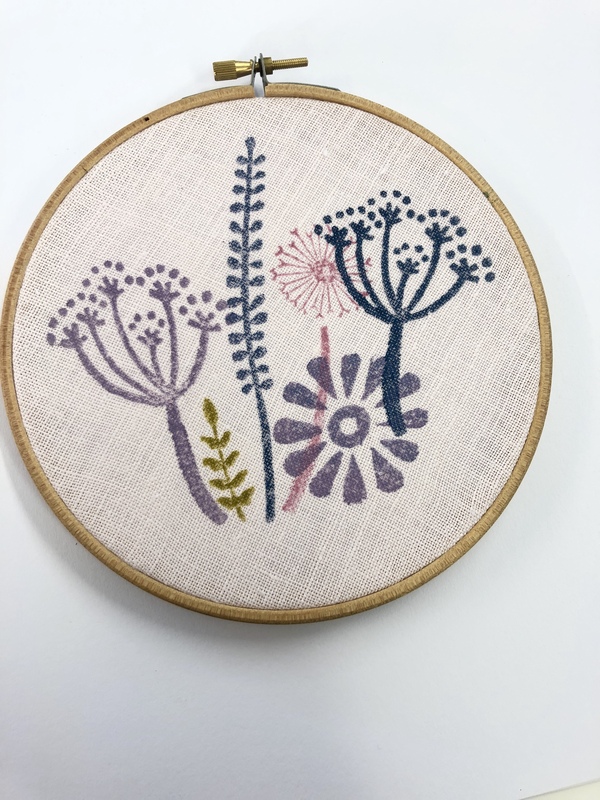 The aim is that you leave with a stash of printed fabrics in a range of designs which you can then use in anyway you wish. 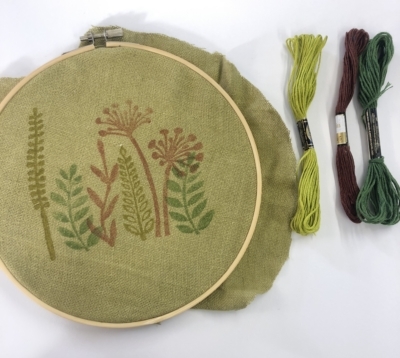 All materials will be provided but you are welcome to bring any of your own items/ material that you wish to try printing on, additional items & fabric can also be purchased for a small fee. Tea, Coffee and cake will also be provided, but please bring a pack lunch. 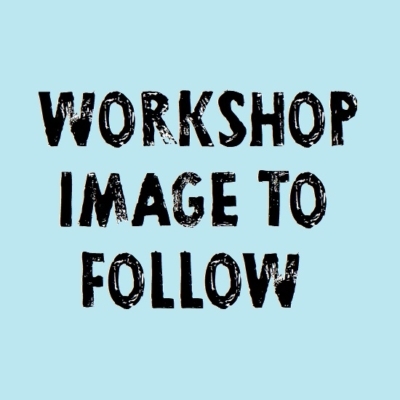 After booking we will contact you with a confirmation then a week prior to the workshop you will be provided with details of the day.